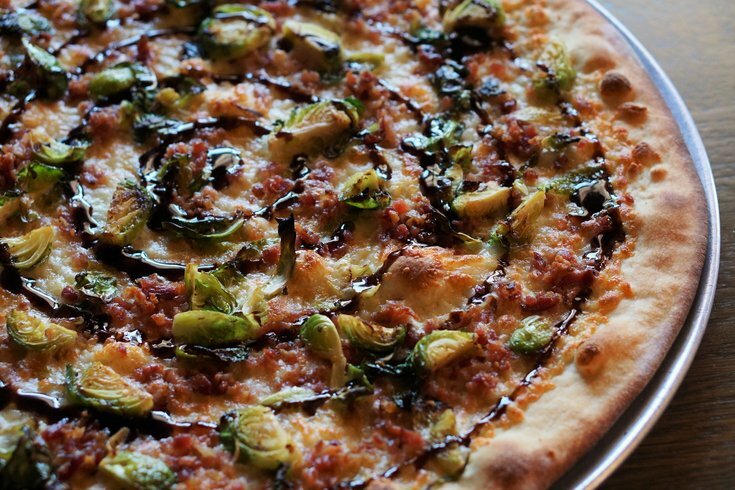 SliCE's newest location will exclusively serve a Brussels sprout pizza, made up of pancetta, mozzarella, provolone and a balsamic glaze. Fishtown frequenters can expect one more foodie addition Friday when SliCE celebrates the opening of its first organic location. The newest store will be the fourth in the area. Its flagship can be found in South Philadelphia's Italian Market as well as two other locations in Washington Township in New Jersey and in Rittenhouse Square. Are free tacos for life worth getting a taco tattoo? So what makes the soon-to-be Fishtown location stand apart? The company's direction toward organic ingredients means that customers can expect their pizzas to be made with organic flour, tomato sauce, produce, dressings and non-GMO cooking oils, according to SliCE. To celebrate the opening, the pizza restaurant will be giving away free slices Friday between 11 a.m. and 1 p.m. and again from 4 p.m. to 7 p.m.
Customers will be able to choose a slice of margherita, florentine and truffled ribeye, lemon and fennel or Brussels sprout pizza, along with others. "We are excited to make Fishtown the home of our first-ever organic location for SliCE," co-owner Marlo Dilks said in a statement. "Fishtown has a vibrant and diverse dining scene that was perfect for our new direction. The neighborhood is also full of young families, like ours, that want healthier options. After P'unk Burger successfully launched, the time was finally right for a more natural direction for SliCE. Look for all other SliCE locations to go organic by next year." The company said that the organic mission and new vibe of the Fishtown location – a rustic, industrial look with wood-lined walls and floors – will carry onto the two other Philadelphia locations by next year.